What are the things to do in Frankfurt which brings you a local experience? What do the locals do in this metropolis? Because Frankfurt was heavily bombed during the war, some historical sites were rebuilt after the war. However, being a financial centre and a major hub in Europe, the city is influenced by immigrants from all over the world and is lively in many aspects. Whether it is on a weekday or at the weekend, this city offers many activities and events which makes it attractive year around. Even in a rainy day or in the snowy winter, people can have many indoor activities to do. Outdoor activity lovers will certainly find many things to do in Frankfurt either. And, Frankfurt is definitely a destination for families with kids. The locals can have many things to do in Frankfurt in their leisure time. The following is a list of things to do in Frankfurt from a local point of view. Some of them are family-friendly activities, while others are suitable for all kind of weather. To get around Frankfurt on a budget level, it is recommended to buy the Frankfurt Card. For a small amount of money, the card not only covers the city’s transportation cost but also includes discounts on sightseeing tours, shopping, museums, restaurants, and more. 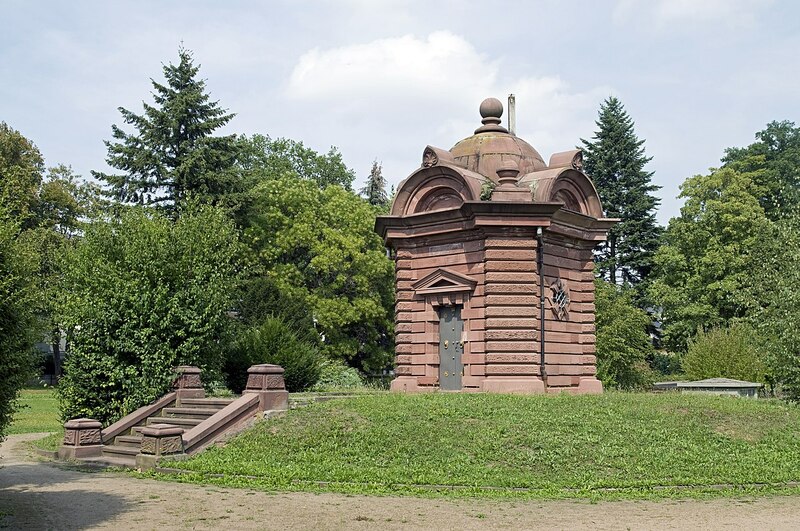 With only 3.7 hectares, the Wasserpark is one of the smallest parks in Frankfurt. A modern water trail is installed to present the water source of Frankfurt. Visitors can get water up and running by driving a small mill-wheel, creating a vortex, or refreshing themselves at a drinking fountain. Visitors can also learn how water purification works through various stages. In 1871, the first German long-distance water pipeline was constructed and ended in the park area. The central element is the pump building built in 1901. Another interest is the obelisk which was also built in 1901. And, the oldest and also the largest elevated tank in neo-renaissance style was built in 1873. Because no bicycle is allowed in the park, it is a relaxing and pleasant place to spend a few hours with kids. In Adolph-von-Holzhausen Park, an avenue with old chestnut trees leads the way to the baroque water castle (Wasserschlösschen) in the centre. The castle is surrounded by an idyllic pond and is reachable via a stone bridge. The park offers visitors a sunbathing lawn, large old trees, numerous benches and two well-kept play areas with climbing frames, wooden train, swings and much more. The last owner of the castle Captain Adolph von Holzhausen gave the castle and the park to the city of Frankfurt. Today, the Holzhausen Castle is the seat of the Frankfurter Community Foundation (Bürgerstiftung). Adolph-von-Holzhausen Park is surrounded by public primary and high schools, private primary schools, Goethe University, and a hospital. Therefore, students, parents with small kids, joggers or old people are frequent visitors. And, the park has a very lively atmosphere. 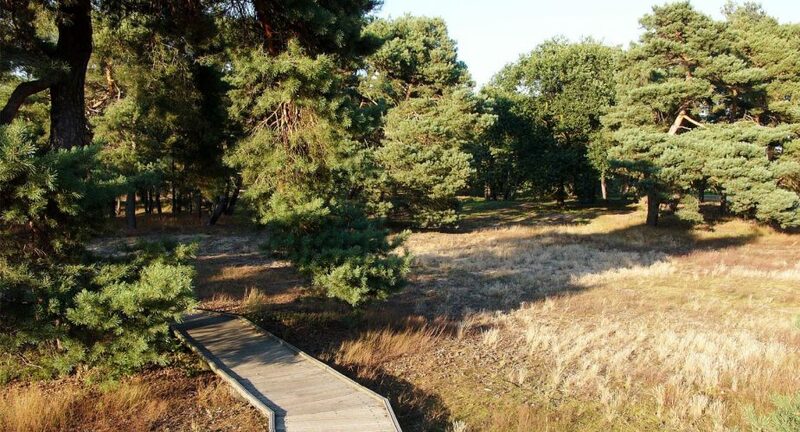 The Schwanheimer Düne is one of the few inland dunes in Europe. It was created after the last ice age from sands, which were blown out of the riverbed of the Main. Then, a forest grew on it. The area is a beautiful piece of nature in the busy city. Part of the trail is a 500m-long boardwalk. Cycling, boardwalk or flora watching are the common things to do there. In Spring, along with grassland, the fruit trees blossom. Later, in Autumn, colours turn the area into Indian Summer. The Schwanheimer Düne is easily accessible via the Main ferry in Frankfurt Hoechst.Parking is available on the highest side directly at the ferry. It is a recreational area with easy access and a perfect weekend destination next to the Main river. Magnificent old trees, huge meadows, and a cherry tree avenue characterize the Lohrpark, the highest park in Frankfurt. It has a lookout point where people can have a magnificent view of the metropolis and the Taunus. The Lohrpark offers plenty of space for sports and fun year around. The people from Frankfurt meet there to have a picnic, to hike around, to play kites, or to barbecue in front of a panorama city view. This is also a place for the people from Frankfurt to celebrate New Year’s Eve and watch fireworks. 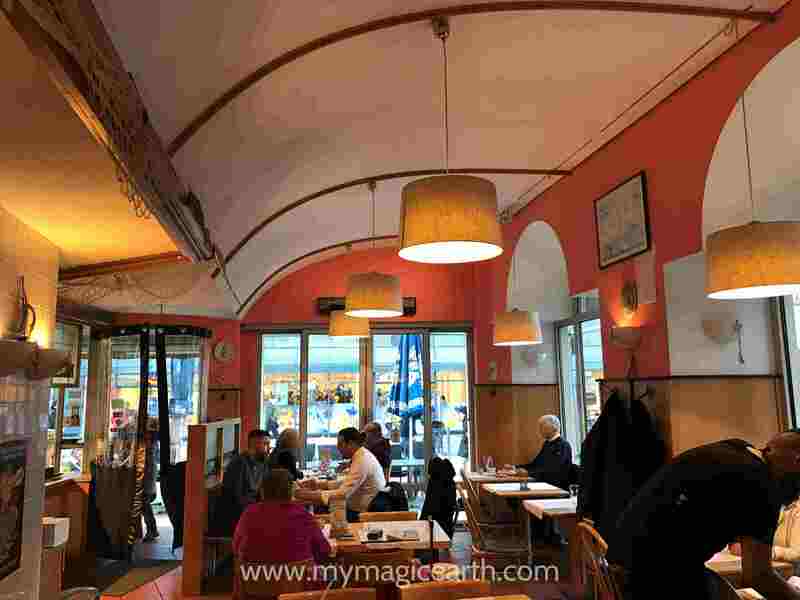 In the center of Frankfurt near Konstablerwache Subway station, the Braun Restaurant founded in 1926 is a popular local eatery specialized in fish dishes. It has an open kitchen, and its eating area has a cozy atmosphere. On the walls, there are some pictures with marina scenes. All fish dishes are freshly prepared in the open kitchen. The menu starts with the Frisian fish soup, followed by a variety of herring dishes such as green herrings and pickled fried herrings from Germany’s coastal regions. Fishes in main courses are either steamed or fried using different sauces such as pesto or herb butter. The types of fish are such as pike-perch, codfish, and Norwegian salmon. Other seafood includes fish salads and fish cakes. Although the restaurant targets to the locals, its menu is in English. The quality of the food is high while the price is low. This is an indoor science museum. It focuses on experimental scientific fact. Most of the experiments are related to real-life phenomena. It includes sections such as Light and Shadow, Strong and Weak, and Thinking and Puzzling and many others. The presentations are interactive and entertaining. Through the motto “Learn by Playing”, visitors can learn the theories behind the complicated scientific facts. For example, at the Visible and Invisible station, visitors can walk into the big “eye” to observe the retina. There is an upside-down image. You make the iris smaller, the size and the focus of an image change as well. The experiment explains how the brain converts an inverted image to the one in reality. These displays are suitable for both adults and children. The explanation on each panel is available in English. All information is also included in the catalog as well. This is a perfect family activity on a rainy day. Gerbermühle has a lively past. Built as a watermill, Gerbermühle was initially used for grinding the grain. The Frankfurt merchant and banker Johann Jakob Willemer leased the mill property in 1785 and had it rebuilt to a summer residence. Goethe, a friend of Johann Jakob von Willemer, visited the Willemer family in the Gerbermühle between 1814 and 1815. During the time he met Marianne von Willemer. Shortly after Goethe’s first meeting with Marianne, he married her. Goethe also celebrated his 66th birthday at the Gerbermühle. Now it is a gourmet restaurant. From there you have the impressive panoramic views of Frankfurt skylines. Next to Gerbermühle is a small pier, and the Frankfurt excursion boats dock there. The Tower Café is a family-friendly location right in the middle of an old airfield. The old airfield (formerly Maurice Rose Airfield) in the Frankfurt Green Belt is a former American military airfield and was closed on 18 August 1992. Its area covers approximately 4.5 hectares and is located in the districts of Frankfurt-Bonames and Frankfurt-Kalbach-Riedberg. After its abandonment, it was transformed by the project group “Green belt” and landscape architects into a leisure and nature area. The 750 m long runway remained in full length. The former tower is now used as the kitchen of the Tower Café restaurant. Visitors can eat Sunday breakfast there. The small hangar is used as a venue for concerts and flight demonstrations. In addition, the fire brigade museum of Frankfurt runs an exhibition in the location since 1992. In the far east of the old airfield, there is a willow labyrinth. Meanwhile, the old airfield has become a learning station for children and adults. From March to October landscape guides are available on site and provide information about frogs, birds, and plants. People can also play kites there. One of the popular things to do in Frankfurt is to visit museums. Being one of the most important locations for museums in Germany and even within Europe, the prominent attraction of Frankfurt is the Museumufer (Museum Riverbank), with a total of 12 museums at both sides of Main River. Renowned museums are such as the German Architecture Museum (Deutsches Architekturmuseum), the German Film Museum (Deutsches Filmmuseum), and Museum for Communication are along the bank of the Main river. Besides, every year many museums invite people to two special cultural events, the “night of museums” and the Museumufer festival. Visitors can also find other museums and galleries at the city’s culture portal. Opened in 1871, the 22 hectares botanical garden has plant species from all parts of the earth. With its 140 years of history, its botanical highlights and historic collections of more than 13,000 subtropical and tropical species, dominate theme gardens. The “Palmen-Express“ will take you and your children around the Palmengarten to discover the beauty of the Palmengarten in an enjoyable way. The Papageno Music Theater offers a year-round live program. Guests can rent boats and paddle gently around the lake to the west of the Palm House. Playgrounds with such as a wooden airplane for climbing, rustic fairy castle, climbing scaffold, and slides are available for the little ones. Parents can rest om benches and tree logs around the playgrounds and still keep an eye on their little ones. The Children’s Kiosk “KiKo” serves drinks and small snacks. The former Villa Leonhardi hosts a restaurant serving distinguished Italian cuisine. Caféhaus Siesmayer, a distinguished Vienna-style coffee house, offers German cakes and tortes, finest French pastries, and homemade ice cream. The Siesmayer Café also serves daily-fresh sandwiches, lunch specials, business lunch, soups, salad variations, and elaborated dinner menus. Frankfurt has several popular weekly farmers’ markets. Not only the locals but also visitors enjoy their visiting to those markets. Those former markets offer fresh regional products as well as some exotic food from across the globe. The well-known farmer market is at Konstablerwache in downtown Frankfurt. It is the Erzeugermarkt (Producers’ Market). With more than 50 stalls, it is the city’s biggest farmer market. TStalls offer not only fresh regional products but also organic food. Tourists should grab the chance to sample some regional specialties, for example, to try homemade apple wine from the nearby Wetterau, Odenwald, and Spessart regions. Or, buy some to take home. There are also other weekly markets in Frankfurt. For the opening time of those farmer markets, please visit here. For hundreds of years, the district of Sachsenhausen was a part of Frankfurt. The fertile bank of the Main was used for farming. Through a bit of a climatic change, the Rhein-Main area got a little cooler. As a result, many vineyards were transformed into fruit orchards. From the 18th century, the bars in the quarter started serving Apfelwein, a type of cider. Until the end of the 19th century, Sachsenhausen remained a village and supplied daily products to Frankfurt. Narrow lanes and small squares with cobblestones, half-timbered houses and fountains feature this corner of Frankfurt. Rittergasse and Klappergasse are densely packed with cider houses selling Apfelwein. There are also Frankfurt specialties such as Handkäs or pretzel. Many traditional fountains are still around old Sachsenhausen. The center of the cider quarter is the Klappergasse with the famous Frau Rauscher fountain. At irregular intervals, it shoots water and sometimes catches careless passers-by. Every summer, during the 3rd weekend in August, the inhabitants host a fest to celebrate their vital source of water. By all means, Old Sachsenhausen is well-known for its vibrant nightlife with over two dozen bars, taverns, and restaurants. There are several outlets right in the city centre. 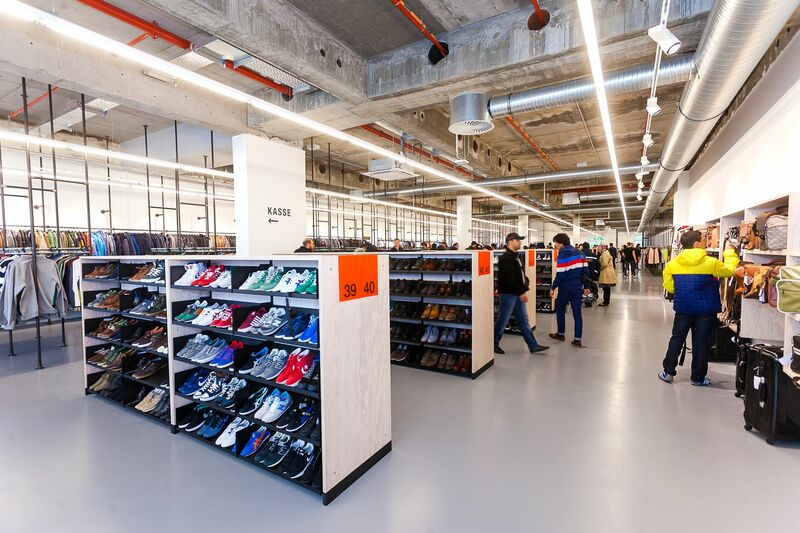 Among them, the biggest one is Zalando. The goods range from a large assortment of shoes, textiles, and accessories including designer brands, for adults as well as for kids. Every day there are new goods, and thus also new bargains. Apart from that, Zalando is also an online shop which offers up to 70% discount. 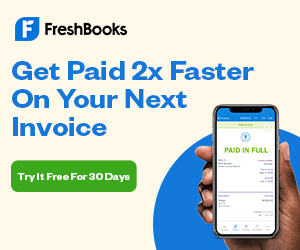 To buy things online, please click here. Another one is the shoe retailer Görtz. Those who have especially small or bigger feet will have the best chance to find their shoes there. But the same applies to everyone else, with a little luck one can get top brand shoes at a bargain price. On top of Skyline Plaza, the Skyline Garden is a pretty green oasis featuring beautiful garden landscapes. It is an outdoor rooftop terrace outside of the restaurant Alex. The garden also features two individually designed terraces, which invite guests to enjoy awesome views of the Frankfurt skyline in clear weather. The highlight is the view of the metropolis Frankfurt from an elevated terrace, which is particularly impressive. The garden provides ample seating for short breaks. A network of paths leads visitors through the garden to the scenes of changing nature. Sports opportunities, such as a life-sized chessboard, or a boules pitch are also available for the visitors. And, a small event stage hosts regular live performances. To accommodate families with children, the Skyline Garden has two playgrounds with monkey bars, a jungle gym, and a sandbox, allowing the little ones to play within sight of the restaurant’s outdoor terrace. The restaurant offers breakfast buffet or brunch. In general, it is a popular gathering place for families and friends. In the past, farmers in Frankfurt provided the fresh goods and sold on public marketplaces. Numerous traditional street names and squares, for example, the Kornmarkt, or the Roßmarkt were formed for this purpose. In the 19th century, due to the increasing demands of hygiene, the city council decided to build a municipal market hall on the grounds between Fahrgasse and Hasengasse. The old municipal market hall in the modern style of the Neo-Renaissance was an iron construction. It soon became very popular among the locals. In 1929, the hall was rebuilt, and its facade straightened. However, in March 1944, the heavy bombing attack on Frankfurt destroyed Kleinmarkthalle. Its remains were demolished after the Second World War. In 1954, with great interest of the population, the reconstruction took place, not in the same place, but about 200 meters southwest of the old site, between Hasengasse and Liebfrauenberg. Today, with its large range of products, the Kleinmarktkalle provides a traditional market atmosphere for the local inhabitants. More than 60 traders sell products such as wines, sausages, seafood, herbs, backed products. Visitors can buy not only the local specialties but also international products. Fresh flowers, clothes and other things such as books are also available on the site. It is modern as well as a traditional place. Located in the city center, the Freßgass is in its present form as a promenade. It links the Zeil shopping street via the Biebergasse. Therefore, it is part of a pedestrian zone that stretches from the Alte Oper to the Konstablerwache or Römerberg. A sculpture Große Liegende (1972) by Willi Schmidt (popularly known as Fett Gret) and a fountain by Inge Hagner (established in 1977) are artistic features of the alley. In 1980s, the street became Frankfurt’s first pedestrian zone. Today, the Freßgass has a special flair due to an excellent range of delicatessens, offering a variety of local, regional, and international specialties. Restaurants and fine food shops invite you into the national and international world of gourmets. 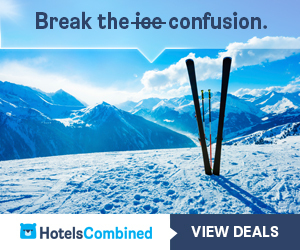 Tired after a shopping day or a sightseeing activity? Then take a relax at one of the street cafes there beneath rows of beautiful sycamore trees and watch the passers-by. The annual Fressgass’ wine festival takes place in June and the annual Rheingau Wine Market in August. Wineries from Rheingau present around 600 wines and sparkling wines. The events count around 400,000 guests every year. Both events are among the most popular festivals in Frankfurt. The Frankfurt Green Belt is one of Germany’s most beautiful hiking trail. With a length of around 62 kilometres, meadows, vineyards, mixed-fruit orchards, vast floodplains, and lush green forests shape scenic landscapes. The Green Belt is also a popular destination for cyclists, hikers, and all nature lovers. Along the trail, visitors will pass countless hidden treasures of the Main metropolis, such as the former Roman settlement, and the particularities of Martin Luther King Park. Visitors can discover the green areas of Frankfurt as well as the green areas of the city on a 2-hour Segway tour. The route passes through Niedwald and Frankfurt-Höchst. Or, take the exciting 3-hour bike tour to get exclusive insider tips on the city and learn more about the cider taverns and discover the trendy district of Sachsenhausen. Grüneburgpark derives its name from the “Green castle”, which stood on the site in the 14th century. Later, in 1837 the Rothschild family bought the park. Today, the approximately 29 hectares of green space serves as the green lung of Frankfurt. Many Frankfurt citizens use it as an ideal place to relax, go for a walk, jogging or sunbath. With its large lawns, the winding and extensive sidewalks, the Grüneburgpark is suitable for many outdoor activities. 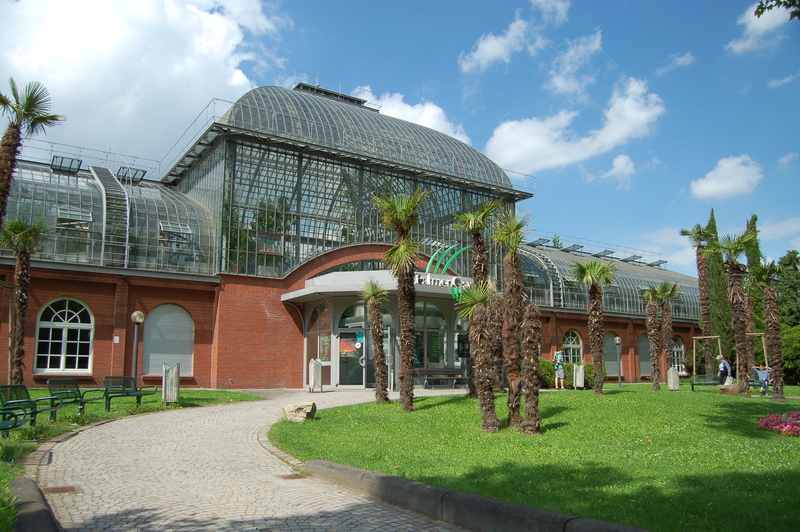 The park has direct access to the Botanical Garden and to the Korean Garden from the entrance to the August-Siebert-Straße. It is also close to the new university campus, which is a quasi-extension of the park. All these aspects make Grüneburgpark more attractive. And, special events such as the open-air festival, which takes place every summer in recent years, give the park in Frankfurt’s Westend a very special flair. Year around, it is always a pleasant way of relaxation to walk through the Grüneburgpark. There are many tours from local tour guides. These tours take from 1.5 hours to a whole day. It is easy to find one to suit your own time table. Please take a look at either www.getyourguide.com or www.viator.com. Or, join the Hop-On Hop-Off Tour to explore the city. The blue double-decker bus will past the most charming and astonishing sights, such as some of the highest skyscrapers in Europe. What a great comprehensive guide, thanks for sharing! I’d never heard of Schwanheimer Düne, that would definitely be on my list of things to see if I ever visit Frankfurt. Wow, what a comprehensive post! We’ve never been to Frankfurt but I’d love to someday. I’m bookmarking this so I have it on hand when we finally get there! Germany is on my bucket list. I’ll be doing an extensive trip to Europe and Mediterranean but was unable to squeeze in Germany. Frankfurt looks like a great spot to begin my journey thr next time I’m in Europe. This is a helpful post! I’ve been to the train station and airport in Frankfurt, but I didn’t know about all these activities. I would love to cycle along the greenbelt, especially. I have not been to Frankfurt in many years. Matter of fact, I am not sure I would recognize it the way the city is today. There are so many more activities and places to visit, that I will have to plan another trip there soon. I love the open markets and the parks that you have listed in your post. What an comprehensive travel guide for me to pin and take with me on my trip. Thanks! This is such a detailed guide. Although, Frankfurt may not be a touristy city but there are many things one can do. Does it get crowded during the tourist season? It gets crowded in the touristic places such as Römer, Zeil. But it is not so crowd at places described in my post. Frankfurt is on my bucket list. The is a fantastic list of so many different types of activities to do and sites to see. I would love the biking and the segway even more. I’ve pinned this for future. A fantastic guide to this city and one I have over-looked in the past. Cycling around the Grüngürtel sounds like my sort of activity 🙂 Thank you for a great post. Oh wow! So many fun things to do. I love visiting markets and parks. And museums are always wonderful! Thank you tons for sharing. I hope I get to travel there someday! I already visited Germany two times, but didn’t got the chance to visit Frankfurt, as an Architect it should be on my bucket list. Thanks for the article dear. This is so useful, I am actually thinking of going there this summer! I really like your post since I´ve been to Frankfurt for several times but havnt been to the places that you´ve mentioned. So, thank you for the tips! Great guide. Museums and parks are always my favourite things to do in a new place. Love this so much. It is such a great info especially for me and my family. Thanks- good info for trip planning.